We’d like to invite you to sign up for our upcoming Blues band workshop and concert. 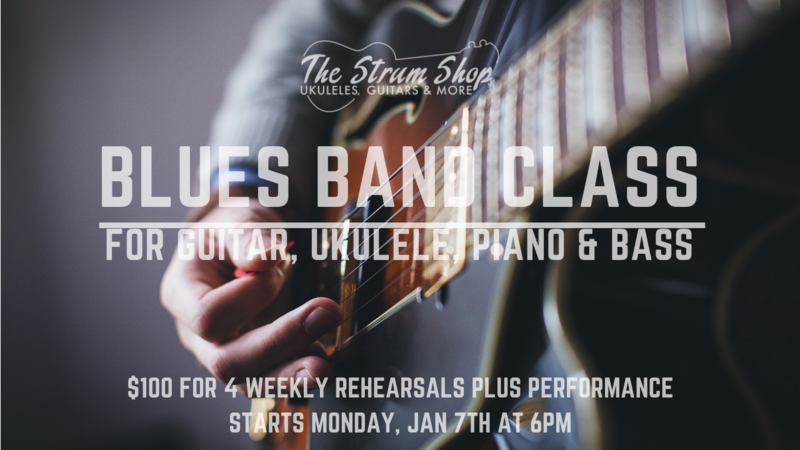 The workshop will include 4 weeks of rehearsals to begin on Monday, January 7th at 6pm followed by a GIG at The Fig Tree on Monday, February 11th at 7pm. Students will perform music learned in the class.